Merseyside Police has charged a man with robbery following an incident in Thatto Heath last Friday, January 13. At around 9.55pm, staff at Bargain Booze in Lugsmore Lane reported a man entering the store armed with a hammer. He threatened staff and took money from the shop, before being detained a short time later by members of the local community and arrested by police. Terry Hathaway, 36, from Middlemass Hey in Stockbridge Village has been charged with robbery, possession of an offensive weapon and possession of a controlled drug. 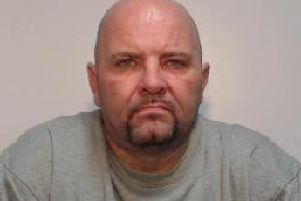 Hathaway has been kept in custody and will appear for trial at Liverpool Crown Court on Monday, February 13.